The living room in your Canada home is the center piece of your home. It is where you will spend the most time relaxing with your family, as well as entertaining your guests. It is important that your living room is as comfortable and inviting as possible. number of pieces of furniture you need in your space, minimizing the clutter and creating a more open look. A lot of people either try to cram multiple pieces of furniture into their living rooms to get the functionality they need, or they just forego that functionality. A home office space is the most common example. You can find plenty of space saving furniture for sale online that also improves the functionality of your space. You can use transforming furniture to get that dining area or home office without actually having to take up more floor space. You don’t have to spend thousands to renovate your living room in Vancouver Canada. You can invest in a little paint or a few pieces of art work for less than $100. You can also find plenty of deals on space saving furniture for sale. You can makeover your space on any budget, and you don’t have to forego the style or the functionality you need in the process. Expand Furniture offers you the space saving furniture you need to renovate your Canada living room. 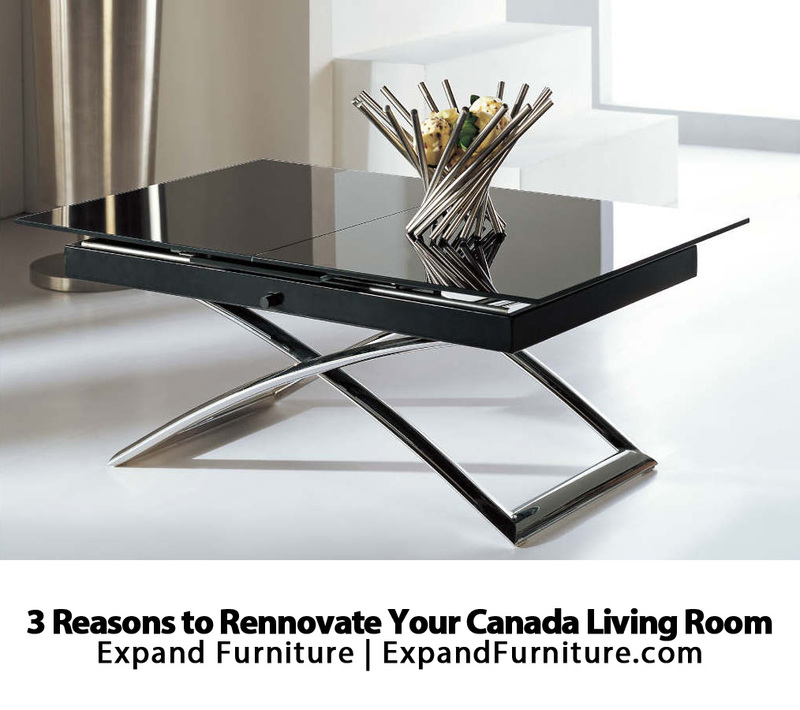 You can choose from options like a transforming living room tables in Toronto, murphy wall beds and more to makeover your living room or any other room in your home. All of the options serve two purposes so you get more for your money and you can save floor space. You’ll get a beautiful new room that makes your family and your guests comfortable, and you won’t have to break the bank in the process.